D435, 1860's Metallic Embroidered Wool Skirt: This skirt of wool is entirely hand made and from the cut of the skirt I would date it to the 1860's. The waist is 30, the length in front is 42 and the length around is 180 inches. 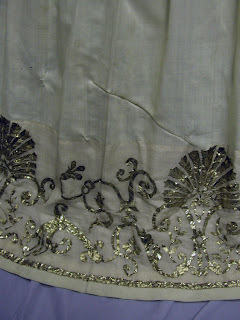 There is 9.5 inch border of metallic embroidery around the bottom of the skirt. The wool is in sturdy condition but it does have flaws. There are many small holes that have been repaired. See close ups. 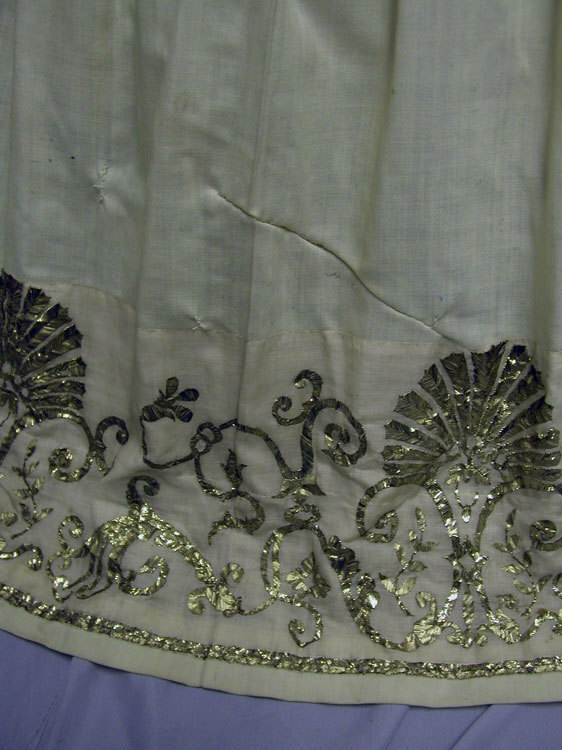 There are 5 tears that have been mended that are from 3.5 inches to 5 inches in length in a row on the right hand side of the skirt. 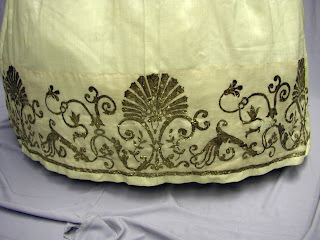 There is a 8 inch repair that is on the back center hemline. See photo. 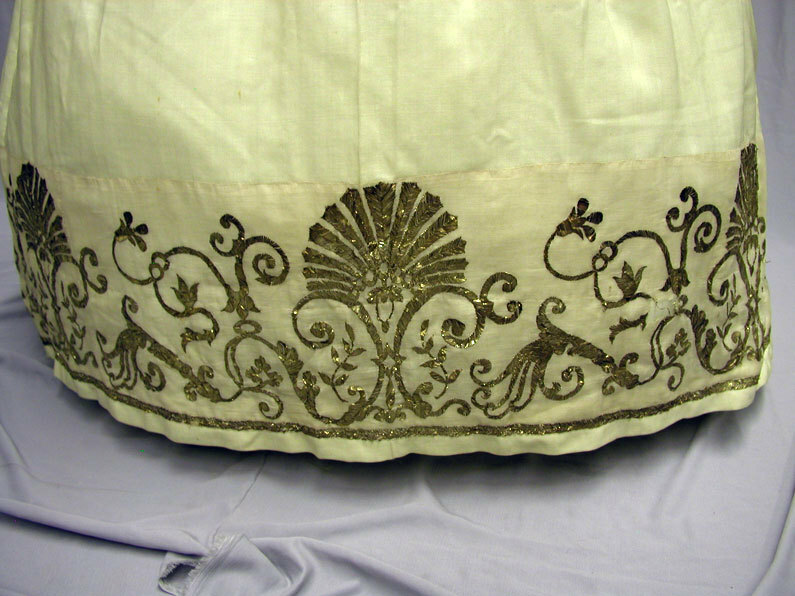 I purchased several pieces from this period embroidered in this style from a friend who had bought them from a museum de-accession. If you know anything about them, please share with all of us. 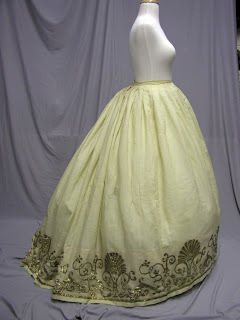 I am sure that this skirt had a bodice and over skirt to match. The bidding will start at .99 with no reserve. 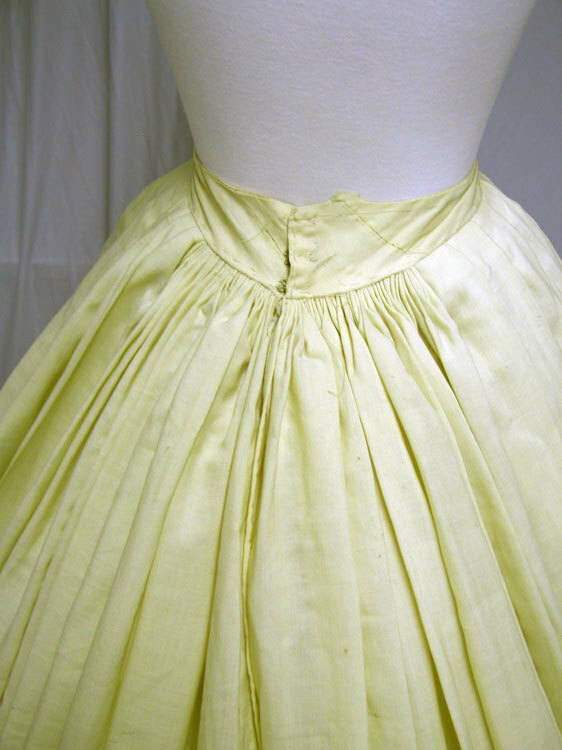 The skirt is sturdy enough to wear and makes a great presentation. No!No!No! 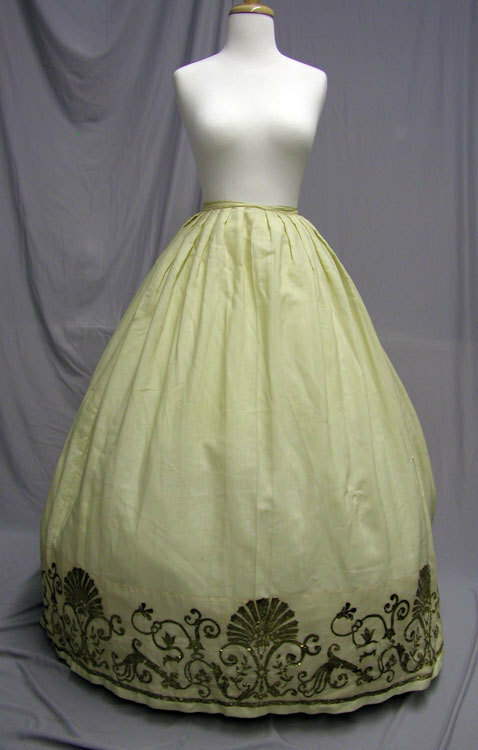 We do not wear 150 year old clothing. We pet it. We drool over it. We oh and aw over it. We do not wear it. 42" in length is waist to floor on me so my guess is that this is actually from the late American Civil War period, given the waist size.